Although made popular by Nate King Cole in 1946, “The Christmas Song” was originally written and composed by Mel Torme in a blistering hot summer in 1944. He was writing down “cool thoughts” in an effort to stay cool, and didn’t even realize at first that his musings could be song lyrics. 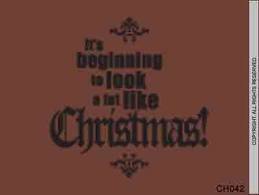 Nat King Cole’s version was inducted into the Grammy Hall of Fame, and is one of the most played Christmas songs ever. Released by British pop duo Wham! 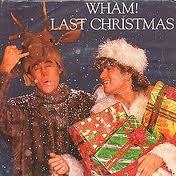 in 1984, “Last Christmas” immediately became a success, and still charts well in many European countries to this day, and is in the top 30 in the British singles chart right now. The song has been covered by many other musicians, with Taylor Swift’s 2007 version being perhaps the most successful, as it charted on Billboard’s country singles chart. Irish punk band The Pogues released this hit in 1987. It was the most played Christmas song of the 21st century in Great Britain, and is frequently cited as the best Christmas song ever, although it receives little popularity overseas. 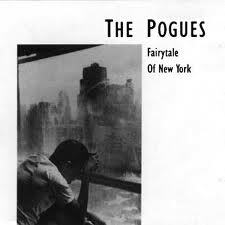 The song tells the story of an Irish immigrant who wakes up on Christmas Eve in New York City after a drinking binge. His part is sung by lead singer Shane MacGowan, while his wife, whom he reminisces and bickers with throughout the song, is played by Kirsty MacColl. Originally recorded by Meredith Wilson, this has proven to be one of the most covered Christmas songs, with artists like Bing Crosby, Perry Como, and Johnny Mathis, all releasing popular covers. Mathis’s version became a hit when it was included in the 1992 movie Home Alone 2: Lost in New York, four years after it was initially released. Residents of Yarmouth, Nova Scotia believe the song was written while Wilson was staying at the Yarmouth Grand Hotel, citing the “tree in the Grand Hotel, one in the park as well…” as proof, although this has never been confirmed. Released when Slade were at the peak of their popularity in 1973, the cheerful Christmas tune spent 5 weeks at the number one spot in the British singles chart, lasting all the way through to mid-January. 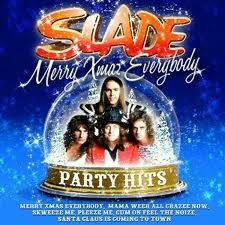 It was Slade’s best-selling single, and remains popular to this day. In fact, a recent poll in the UK named it the best Christmas song of all time. Lead singer Noddy Holder calls the song his “pension plan”, referring to its continuing success. 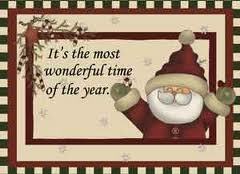 A popular Christmas song, the original melody was “Soleado”, a tune from 1972, by Italian composer Ciro Dammicco. The English lyrics were written a few years later by Fred Jay. The song has been sung by many artists, most successfully by Johnny Mathis in 1976, and Andre Bocelli in 2004. 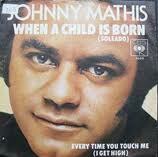 It became Mathis’s sole number one single in the UK, selling 850,000 copies. 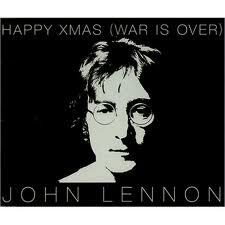 John Lennon and Yoko Ono released their song in 1971 as a protest song to the Vietnam War, but it has taken on a life of its own, and become a Christmas classic. The children singing in the background are from the Harlem Community Choir. In 2006, The Fray covered the song, and their version reached #50 on the Billboard Hot 100 singles chart. This marked the first time the song had charted in the US. This song was written by American songwriter Johnny Marks in 1964. 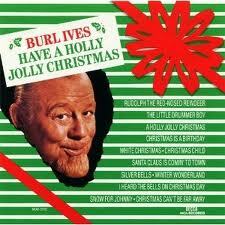 He specialized in Christmas songs and wrote classics such as “Rudolph the Red-Nosed Reindeer”, and “Rockin’ Around the Christmas Tree.” “A Holly Jolly Christmas” was recorded and made successful when it was performed by Burl Ives the same year. The song was also featured a Christmas special of Rudolph the Red-Nosed Reindeer that year, and Burl Ives voiced Sam the Snowman. 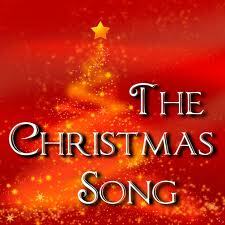 A classic Christmas song, it was written in 1963 by Edward Pola and George Wyle. 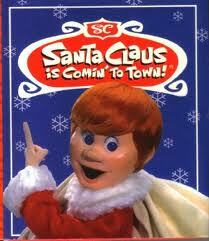 That same year, pop singer Andy Williams recorded the song for his first Christmas album. This cover has since become a radio airplay standard for December. In 1986, another popular version was sung by Johnny Mathis, and in 1999 country singer Garth Brooks became the first artist to chart a version in North America. You need to put more facts about the songs and make sure they are more detailed. It will help many people with research or with curiousity. Thank you!